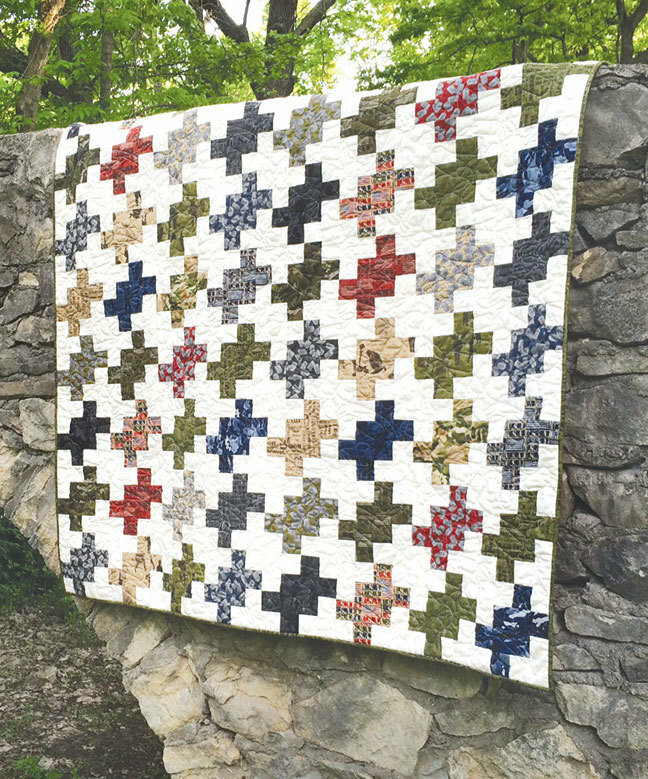 This is a great project for your favorite collection of pre-cut 10-inch squares. Using 40 (10-inch) squares of fabric and yardage for your background you can make this great tessellating design. From traditional to very contemporary fabrics, this pattern works well for all. 64" x 84" finished size.